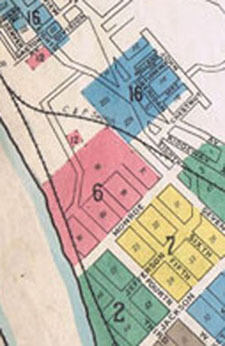 From a 1903 Sanborn Fire Insurance map. 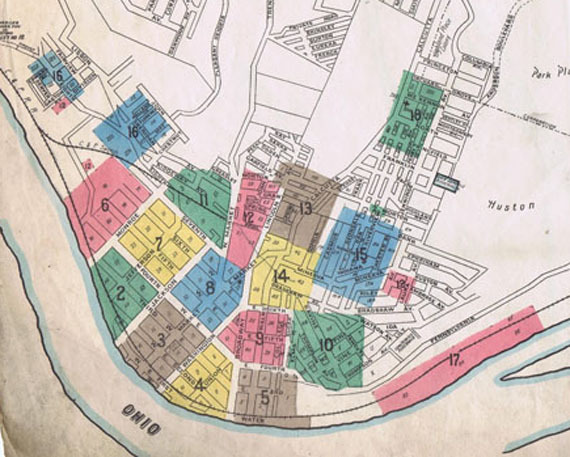 1903 Sanborn Fire Insurance map showing 4th St Extension. 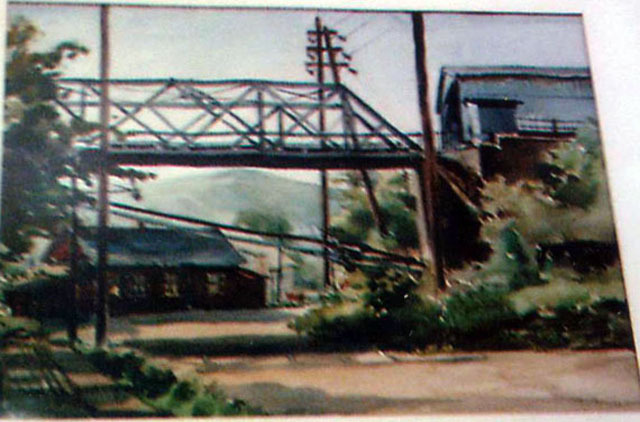 A Bell Telephone East Liverpool, Ohio Telephone book for the 1950's showing 4th Street Extention. Not the best view of 4th Street Extension but it does give some perspective in distance in that area. 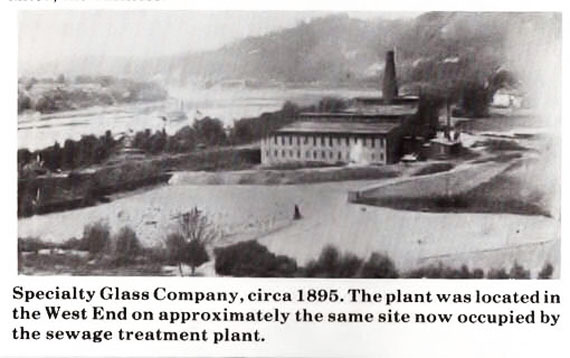 You can see the smoke stack for the former Glass House in the left. A good aerial view of 4th Street Extension. 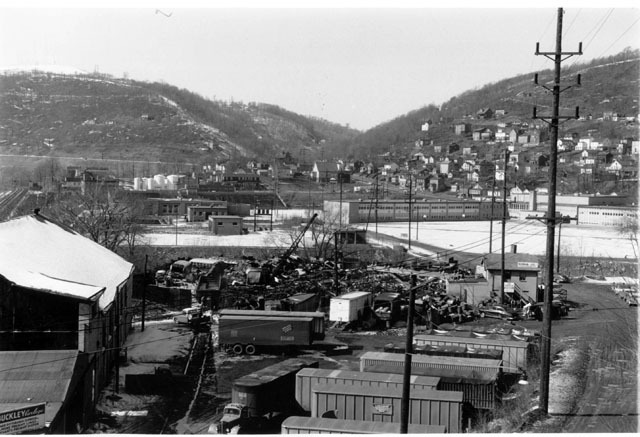 A great picture, probably taken in the Late 50's showing Buckley Carthage Company bottom left, Berman's Junk Yard, Sewage Disposal Plant, Westgate and Patterson Field. This picture probably sometime in 1960. 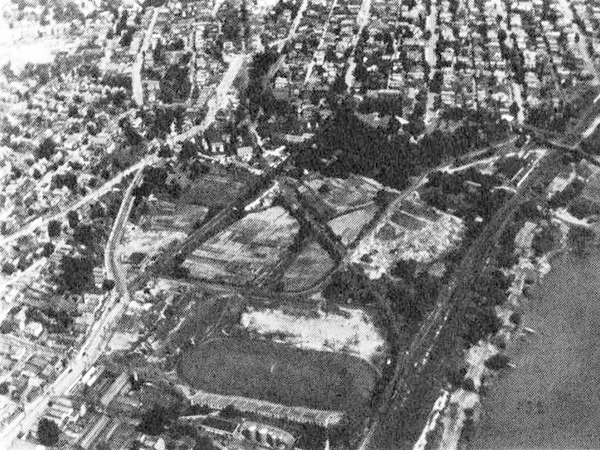 Far upper right Patterson Field. Moving dowward upper center Sewwage Disposal Plant. Center across the picture that vally is actually Carpenter's Run. Left near bottom what is left of Berman's Junk Yard. Berman's office. Route 11 construction has began so probably 1960. The Route 11 construcion or preparations is probably a better word, 1960. Looking in the direction of the Newell Bridge that is the junk Yard there in the foreground. 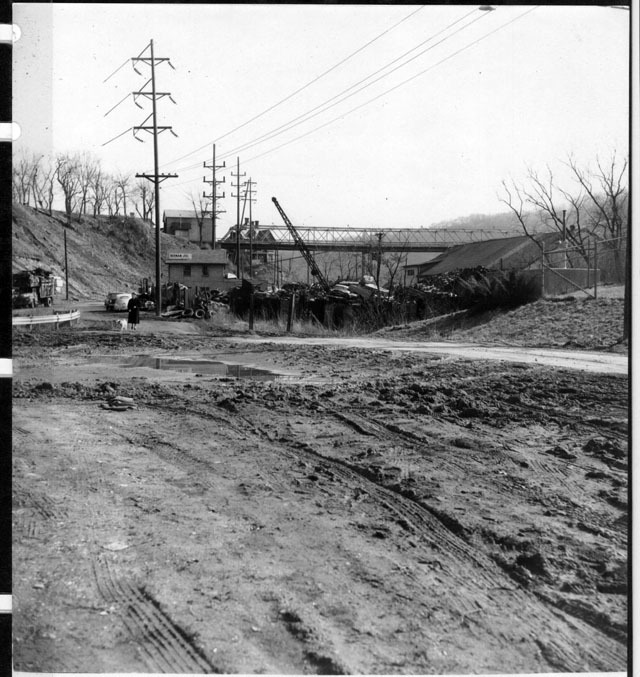 Fourth Street extension, at least the Northern portion of it was wiped out by the construction of Route 11 onto West 3rd Street. 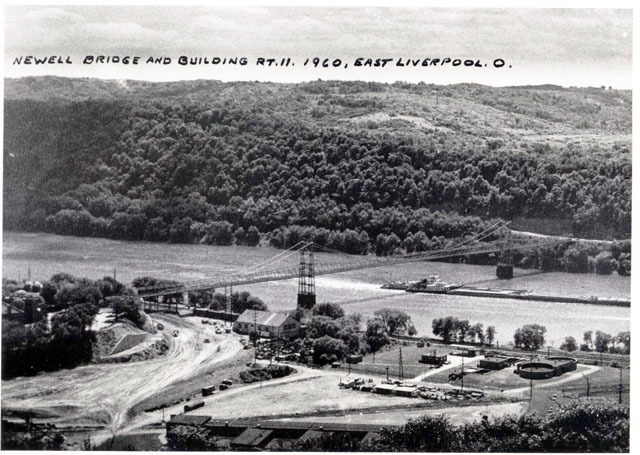 You see in this picture where the 4th Street extension comes to a end by the bulldozing and shaping of what was to become Route 11? You will see this same spt in another pics a bit later on. 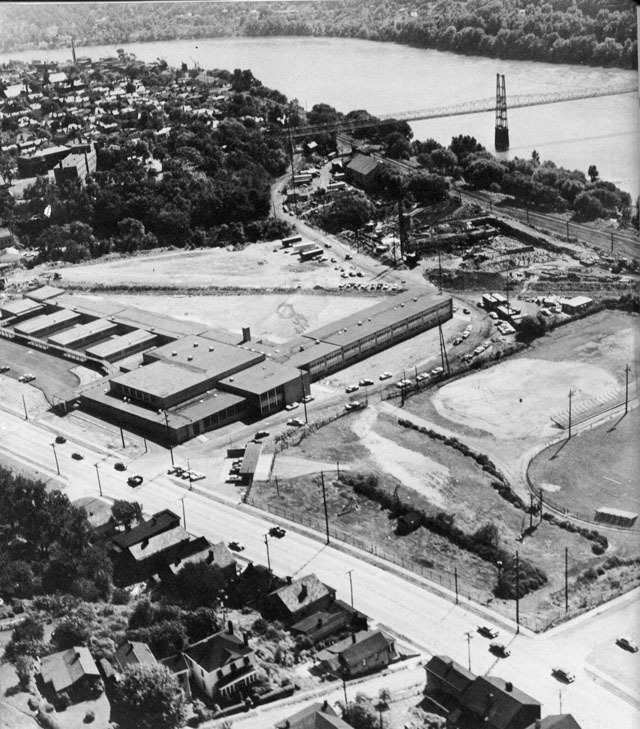 Standing at the south end of was the JR High Wing of Westgate back when it opened in 1956. Fourth Street Extension straightened at the east end of that curve and came directly towards me (the photographer) Years later when the BOE bought that property they altered what was once the 4th Street Extension in that particular area better suit their purposes. 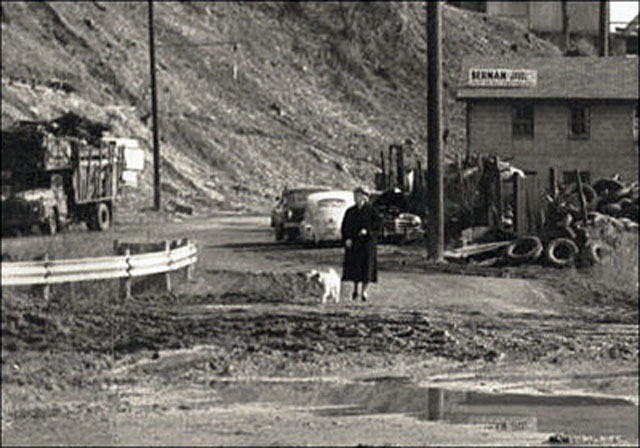 Fourth Street extension had ceased to be connected to 4th Street since 1960. Walking back though the weeds towards what is left of the road along the Sewage Disposal Plant. Remember back a few pictures I said you would see this same spot again? Well this is that same spot. What is left of 4th Street extension ends about 40 or 50 yards beyond this fence. 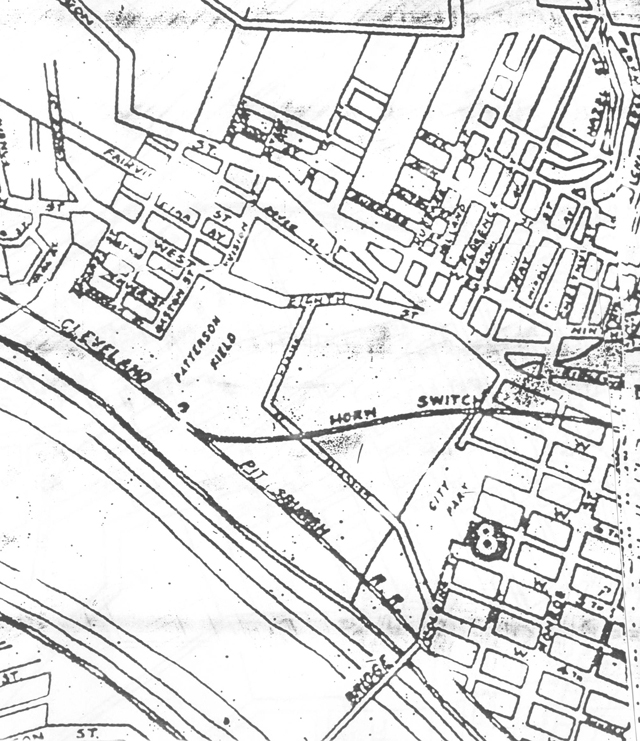 The end of West 4th Street, the bricked portion and the beginning of 4th Street extension. Fourth Street Extension is the right of that single story building in the center of the picture just past the bridge.